BMW india launches new 5 series cars priced at 36.9 Lakhs. 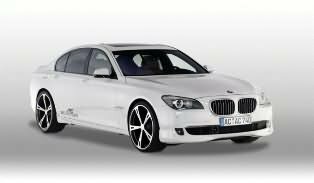 The new BMW 520d will be completely knocked-down unit (CKD) produced at the company’s unit in Chennai. It will be available in a range of ten paint finishes. Individual upholstery designs in Dakota leather will be available in black, vento, beige, cinnamon brown/black and oyster/oyster dark. BMW 520D is produced from its Chennai plant as CKD unit and is marketed through the company dealers in India, said an official statement from BMW. There will be 10 colors to choose from – alpine white, black sapphire, cashmere silver, deep sea blue, havanna, milano beige, space grey, titanium silver, imperial blue brilliant effect and sophisto grey brilliant effect. The President for BMW India said its BMW 520D model is the core product in India under its platform as evidenced from the BMW 520D sedan launched in this April. The car has made a deep penetration in the luxury segment in the country, he added.